As hard as we may try, there are times when we are unable to shield our children from the more unfortunate events in life. Below is a guide for parents for talking to your child about, and helping them through, difficult conversations. ​In response to questions from parents we have put together a quick guide (including links) with tips on communicating with your child when something dreadful happens. Reiterate Safety – reinforce that our schools and community are safe. Roxbury is proactive in the area of school security. 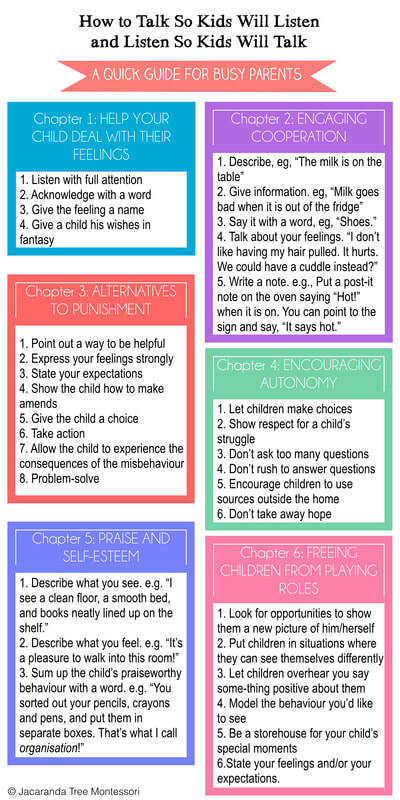 Let children talk about their concerns so they can begin to process their feelings. Be specific if needed and remind students that school doors are locked and staff members are visible at all times. Remember, children take cues from adults! Remain calm and in control. Make time to talk – when your children are ready to talk, be there for them and listen. Engage them in a conversation about their feelings and let them know that it is normal to feel differently when something icky happens. Help them to express their feelings appropriately. Be truthful – always be honest about what is happening. Children talk to each other and will know when you are not being truthful. Keep the details simple, brief, and age appropriate. Safety – discuss specific steps you and your child would take in different situations. Remind them that emergency drills at school are done for this reason. Have a plan in place in case an emergency happens at home and other locations. Maintain normalcy – keep to a normal routine and a regular schedule. Ensure that your child gets plenty of sleep, eats regular meals, and exercises. Encourage children to keep up with school work and extracurricular activities. Limit television exposure and internet use. 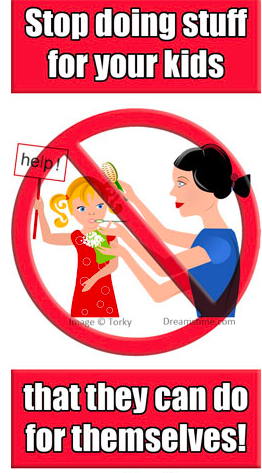 If you see a change in your child’s behavior, please contact the school counselor. The following links are provided by expert professionals for parents, teachers, and students. A group meeting to discuss issues relevant to our children. The goal of this gathering is to not only educate ourselves as parents, educators and community members; but to also share our experiences, support one another and take action based on what we learn together in a safe, fun and nonjudgmental environment. Who: Mrs. Cicchino will be hosting this meeting but all parents/guardians and educators of the Jefferson School Community are invited! For those of you, like myself, looking for fun stuff to do with your kids over the summer, on a rainy day...or just on the weekend when you're feeling crafty (aka you somehow agreed to a play-date or a sleepover and you remember the morning of that you have NOTHING planned and you're sure you must have been asleep when you said "yes" to said event); these are from 2017 but the activities and links are still good for any time. Enjoy! Many of has have read, owned and never touched, heard of, or just wondered about this book. Goodreads.com said, "Here is the bestselling book that will give you the know-how to be effective with your children...Enthusiastically praised by parents and professionals around the world, the down-to-earth, respectful approach of Faber and Mazlish makes relationships with children of all ages less stressful and more rewarding." There are many positive reviews and even a lot of criticism of this particular book. I found many of the suggestions in it helpful as both a parents and counselor but I agree that you have to find your own balance. Below, Simone Davies of www.themontessorinotebook.com/, created a summary for those of you that just haven't had the time to sit down and read it or are like me- and just love to have a "quick guide" to refer back to! 5 Minutes to Spare: Elementary School from Parent Toolkit on Vimeo. Parent Toolkit is a great resource made with parents in mind. As a parent, I absolutely love the 5 minutes to spare video series because most days I don't even know if I have one minute to spare! Check it out and make sure to browse their other features like math videos, tips, activities, articles, etc. A great write up that reminds us that we have to teach our kids how to apologize and how to do it in a meaningful way...not just to say it to say it. This mirrors the method that we teach here in the counseling office. Chibi is picked on because he is different. He is misunderstood and judged by the other children. So much to learn from this beautiful story. It's a long time favorite of mine. Molly Lou Melon is what I want every girl and boy to be. She shows us how to stand up for ourselves in the sweetest kindest way. Always believe in yourself no matter what others say! Need strategies for name-calling? Look no further. This is a VERY popular book with my students. The metaphor is perfect. Don't take the hook! If you are being targeted by someone - you need a plan to not be their bulls eye. This has brought a lot of awareness to students about how to identify bullying. And after you identify it, how to deal with it. This one is asked to be read over and over by my K-2 students. It's about relational aggression and there is also a little name-calling going on. The message is to find a friend that treats you with kindness and respect. Don't hang around those who want to put you down. Maybe a way to combat name-calling is through empathy. This one surely builds it. A lot of kids would like to minimize put-downs by using the phrase "just kidding!" Trudy Ludwig teaches kids the problem with not taking responsibility and how to stand up for yourself assertively. This gets to the core of why name-calling is so destructive. Imagine struggling in school and then being taunted and teased by a classmate who calls you "dumb." But it's Mr. Falker who puts a stop to it. Reminder to my students how powerful adults are in stopping bullying. At the end of this story there is regret for the teasing and name-calling. If you see someone being teased or put-down - SPEAK UP. Then you will never have regret. A very creative take on bullying. Get ready to be blown away by this powerful book. It just takes ONE. The icky bully machine thrives off name-calling. Learn how to un-plug it with this AWESOME book. We are currently reviewing it from last year. Edwardo is constantly put-down....by adults. This also explains the damage a put-down can do compared to a put-up! Being picked on for your height is not cool. But Kylie Bell deals with it like a pro. This hippopotamus keeps getting name-called by his sister. But it's his good friend Lombard who re-builds his self-esteem. This is just an interesting link (click on the picture to access website) I came across that has a TED talk for parents speaking specifically about the importance of grit. Grit is something we are focusing more and more on in school when we are talking about positive character traits. Grit, in my mind at least, is very similar to resilience and can be a major predictor in future success for kids. It's a quality of those that keep going and don't give up. I like to call it the "no excuses" trait in character building. I recently read a positive review on Amy McCready and decided to check out her stuff. I read about the "asked and answered" game and I liked how simple it was. On her Positive Parenting Solutions website, she has a lot of great posts and some pretty simple ideas and tricks for positive parenting (I think it should be called sanity saving parenting personally)...check her out! A useful article when dealing with those all too familiar nightly struggles. Even if you think this is more support than you need...a homework chart is an amazing tool to take the fight out of homework time. Set up a homework area and make it as easy as possible for your child to be self-sufficient. This will create an expectation and give them the tools for optimal focus. These command centers are pretty impressive...and somewhat elaborate. It doesn't necessarily have to be fancy...just a designated area with all the fixin's! Ugh...this is a tricky subject. It tends to evoke only two reactions: anger/defensiveness or overwhelming agreement. The truth is, as a School Counselor, this is a difficult subject for me too. You know that annoying interview question, "What's your biggest weakness? "...well, this is mine. You want so badly to ease their stress, or even sometimes your own (guilty)- it seems easier to just give in and do it yourself. Especially as a counselor, I sometimes have to find that balance and it can be incredibly difficult after just hearing a kiddo pour their heart out about all of the worries going on in their life! Your kids: Responsible or Spoiled? It can be tough having to dish out punishments for our kids...or even more so...finding consequences that work! There is nothing more important for young people to learn than the idea of natural consequences for their choices. We all have consequences- if you don't make the deadline at work; you get in trouble, if you are constantly late; you get fired, if you are mean to your friends; you lose them, if you don't stay organized; you lose out on good stuff, etc. etc. 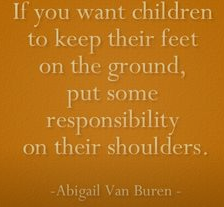 Teaching your child about consequences and having clear boundaries is the only way to set them up to be successful! The blog post below has some great ideas for being both loving and firm. 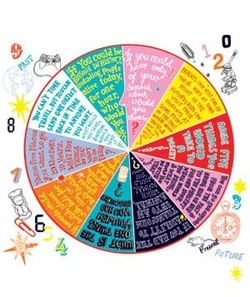 I also really like this article, Consequences That Actually Work! (Part 3- Restitution Consequences). I'm a big fan of restitution! Tantrums are the worst. The screaming, the crying, the stomping of the feet...and let's not even talk about all of the things your child is doing! Tantrums can be exhausting and they are certainly not easy to deal with. This blog has some good tips in her post on 10 Ways to Stop a Tantrum. There is a book called, 1-2-3 Magic: Effective Discipline for Children 2 - 12, that has received a lot of positive reviews as well. Is Dinner getting a bit stale?? How to: Print out the Conversation Starters page. Glue it to a piece of cardboard (the back of an old spiral notebook will do), then cut out the wheel and the arrow. Make a hole in the wheel’s center with a hole punch, and attach the arrow loosely with a metal brad (sold at office-supply stores). Now give the arrow a (gentle) flick! I've seen homeade versions of this with a lazy susan (yep-they're still around) and some velcro- that way you can change out the topics as you'd like! Start by asking your child about their day and see what they tell you first… a celebration or a perceived mistake/problem? If they start with the negative stuff...stop them and tell them to start with the good...then the bad...then end with the good- the sandwich technique! End every day with the "one good thing" or the "best part" ritual. When tucking your child in...ask them to tell you what their favorite part of their day was. Model this for them...it might be hard at first but they'll get the hang of it after a few nights. Why yes, I'm a bit stressed. Why do you ask? Just as we get stressed out about our day to day lives...our kids do too. It might seem silly...and there are times we just want to ask, "What could you possibly be stressed about?? You don't have bills to pay, someone does your laundry and makes you dinner...and everyone encourages you to take a nap!!" But the truth is, our little ones haven't quite developed those coping skills yet and anxiety in children is a common, and rising, issue. 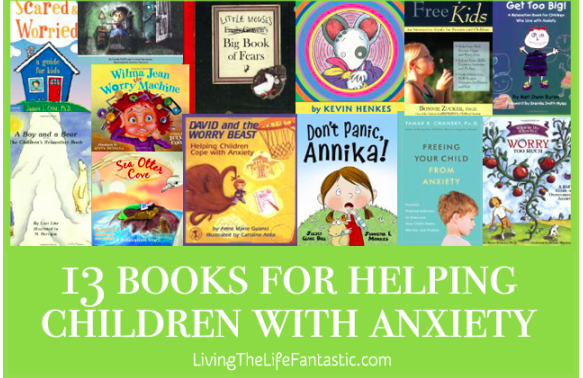 13 books for helping children with anxiety is a blog with a great list of awesome books and a comprehensive summary for each one. My personal favorites are, Wemberly Worried, David and the WORRY BEAST, Is A Worry Worrying You?, Wilma Jean the Worry Machine, and When My Worries Get Too Big.